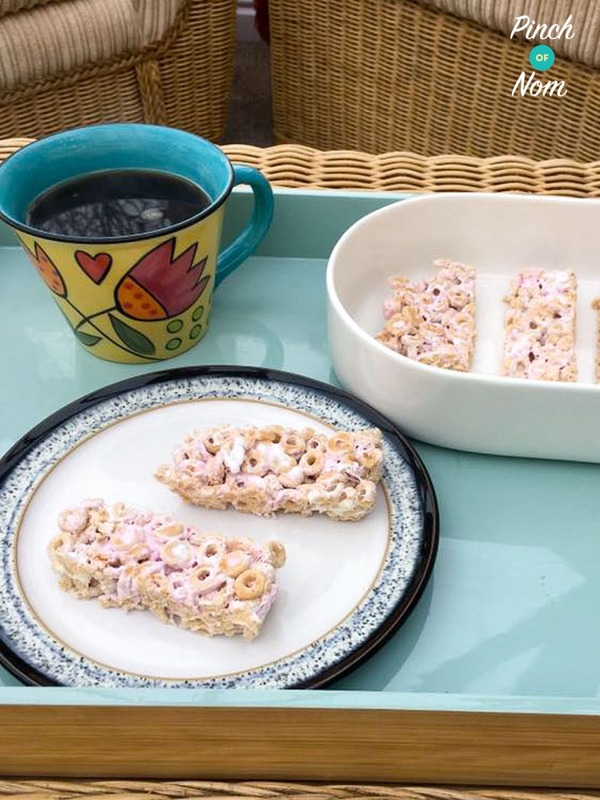 These low syn marshmallow bars were created by Michelle from our Facebook group! So easy and simple to make, they’re the perfect Slimming World treat! They’ve gone down an absolute storm over on our Facebook group! We’ve over 150,000 members in the group, you really should come join us over there. That’s if you haven’t already! What do I need to make these Low Syn Marshmallow Bars? When we say a recipe is simple, we really mean it! All you need are just 2 ingredients. Yup! 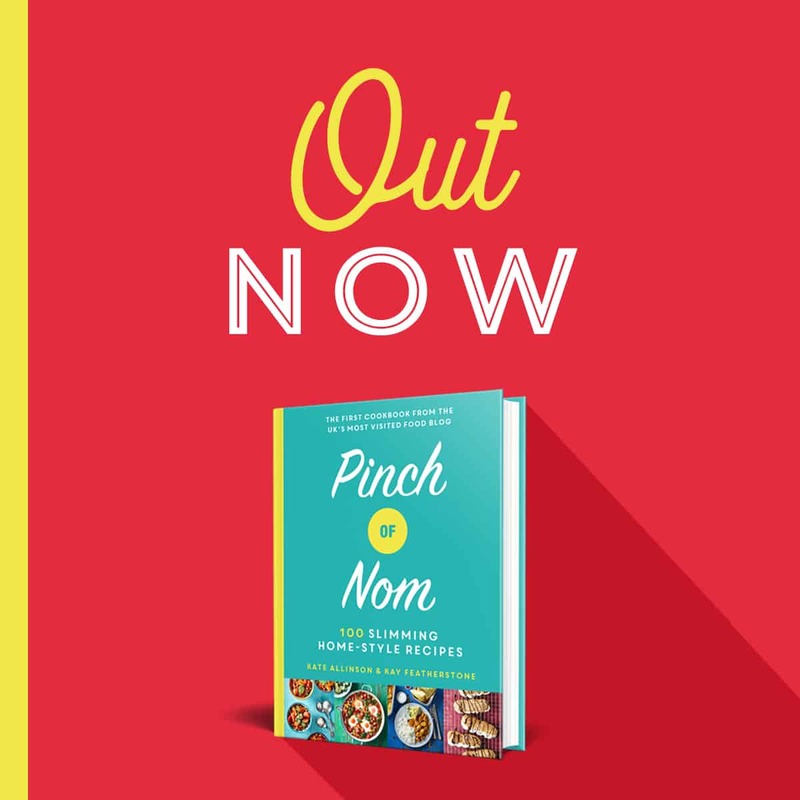 We got ours from a specialist catering supplier, but you can pick them up from Sainsbury’s. They’re only 2.5 Syns for 25g which makes them 1 Syn per 10g. 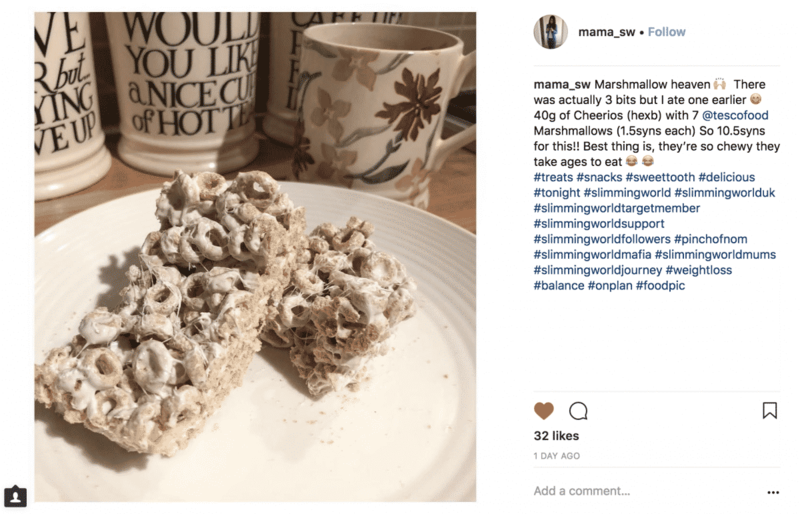 How do you work out the Syns in these Low Syn Marshmallow Bars? This recipe uses 40g sugar-free marshmallows which comes to 4 Syns. We’ve used the Nestle Oat Cheerios, Less Than 5% Sugar as our HEB, just counting 4 Syns for the lot. Or, if you prefer to Syn the Cheerios at 7.5 Syns for 40g, so it would be 11.5 syns for the lot. You could, of course, cut them into smaller pieces and enjoy them as the odd sweet treat! 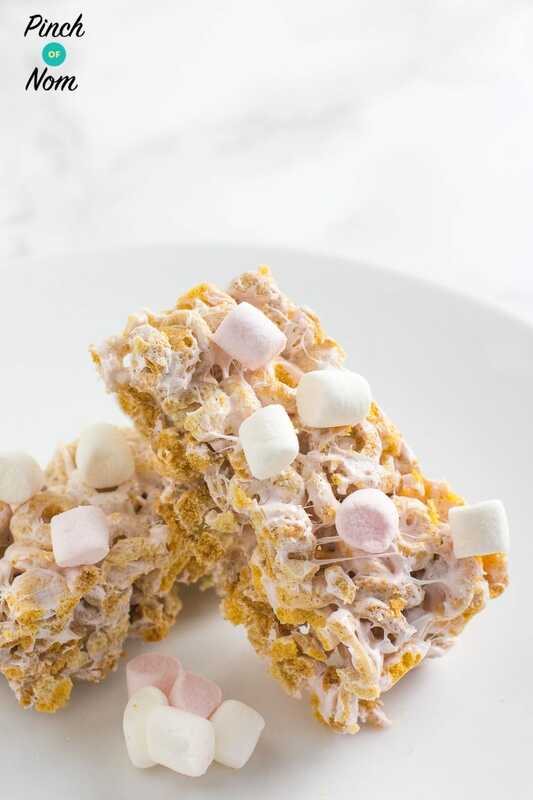 Some of you love this Low Syn Marshmallow Bars recipe! One of our Instagram followers @mama_sw made this dish and loved it! How do I make these Low Syn Marshmallow Bars? Melt the marshmallows in a glass bowl in the microwave. This will only take 10-15 seconds! Once melted, give it a stir. I’d recommend using a silicone spatula, as it makes the molten marshmallow easier to work with. Add the Cheerios to the molten marshmallows and stir well to combine. You will need to move quickly, as the marshmallow will stiffen as it cools. If you need to, return the mix to the microwave for 5 seconds at a time, to loosen the mixture up. 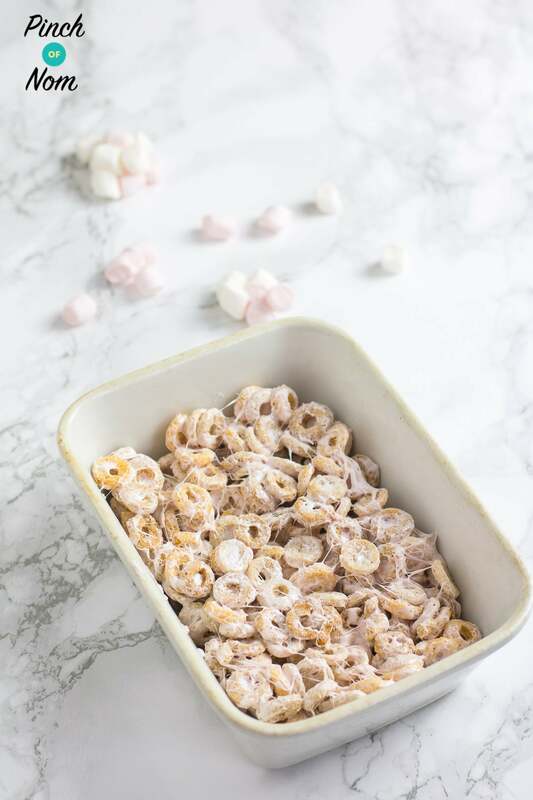 Tip the cheerio-marshmallow mix into a rectangular/square dish, and flatten. You may need to use a spoon or knife heated in water for this bit! It’ll make the mix much easier to spread. If you run into difficulty, and the mix is too stiff, just pop it back in the microwave for 5 seconds at a time. Cover with clingfilm and place in the fridge to set. It’ll take 30 minutes to set, so you don’t have that long to wait to enjoy your Low Syn Marshmallow Bars! Gently prise the mixture away from the bowl. You will need to cut around the edge with a sharp knife first. Tip onto a chopping board, and cut into how many pieces you like and enjoy! 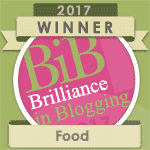 Michelle enjoyed hers with a cup of coffee, bravo! 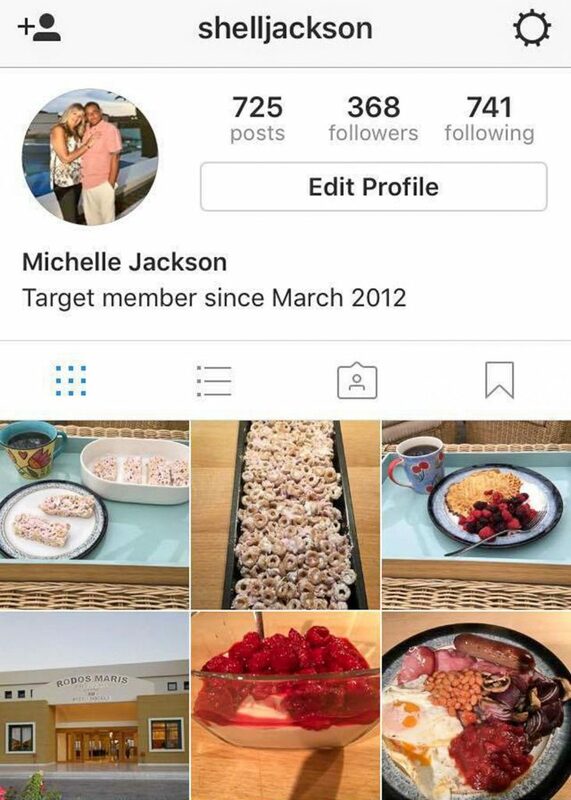 Want some more low Syn sweet treats? As I mentioned earlier, our Facebook group is growing by the day. 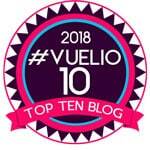 If you haven’t joined yet head over there and take a look. You wouldn’t want to miss out on the fun would you? Want to save these Low Syn Marshmallow Bars for later? Pin them to Pinterest! Once melted, give it a stir. I'd recommend using a silicone spatula, as it makes the molten marshmallow easier to work with. Add the Cheerios to the molten marshmallows and stir well to combine. You will need to move quickly, as the marshmallow will stiffen as it cools. If you need to, return the mix to the microwave for 5 seconds at a time, to loosen the mixture up. 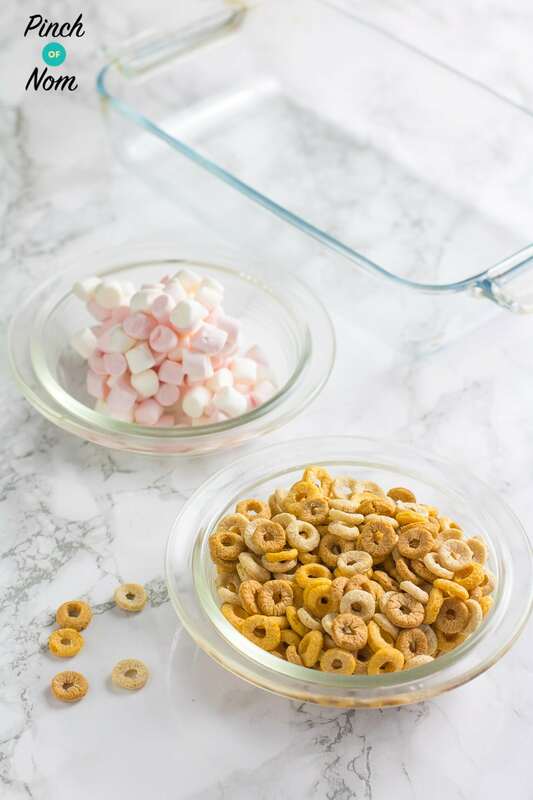 Tip the cheerio-marshmallow mix into a rectangular/square dish, and flatten. You may need to use a spoon or knife heated in water for this bit! It'll make the mix much easier to spread. If you run into difficulty, and the mix is too stiff, just pop it back in the microwave for 5 seconds at a time. Cover with clingfilm and place in the fridge to set. It'll take 30 minutes to set, so you don't have that long to wait to enjoy your Low Syn Marshmallow Bars! Gently prise the mixture away from the bowl. You will need to cut around the edge with a sharp knife first. Tip onto a chopping board, and cut into how many pieces you like and enjoy! Michelle enjoyed hers with a cup of coffee, bravo! Virtually all supermarket ‘own brand’ versions are made from a selection of grains, rather than just oats. These are not listed on the SW app as an HEb. What if you don’t have a microwave? I LOVE the idea of this!! Do you think I could heat the marshmallows in a pan?! If you don’t have a microwave, I’d suggest a double boiler method to melt the marshmallows. It’s a gentler, indirect heat, which won’t affect the flavour of the marshmallows or risk them burning. Put the marshmallows in a heatproof bowl over a pan of boiling water. Make sure the base of the bowl doesn’t actually touch the water in the pan. 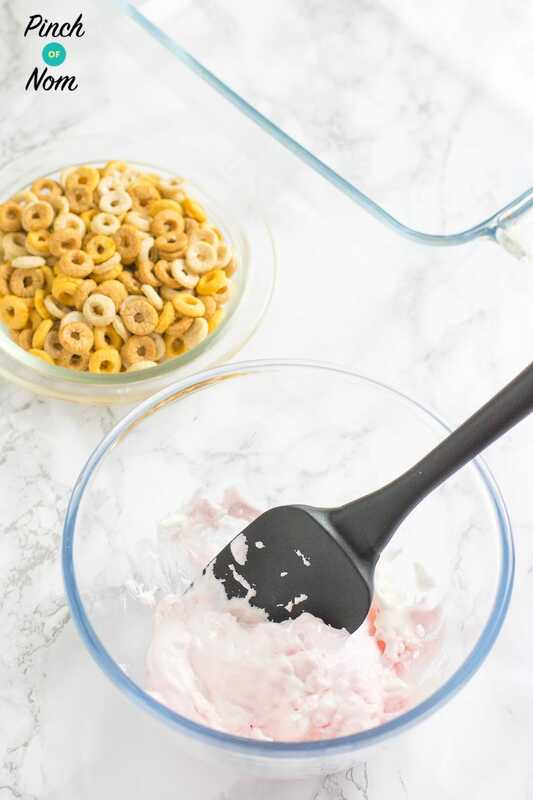 Stir gently until melted, then stir in the 5% Cheerios and tip the mixture into a lined dish to set. Good luck! The reason we’ve used the Oat Cheerios is because they’re an HEB choice, which keeps the syns low. If you were to use rice krispies you’d have to syn them, as they’re not an HEB. how long could i keep these for? It’s one of my favourite recipes too. Perfect for night time nibbles!